Volkswagen is preparing a major update for the Golf, and its world premiere is coming up next month. 1974 was the year when ABBA won the European Song Contest with ‘Waterloo’and Germany won the World Cup for the second time. The year when Muhammad Ali defeated George Foreman in the most legendary boxing match of all time. 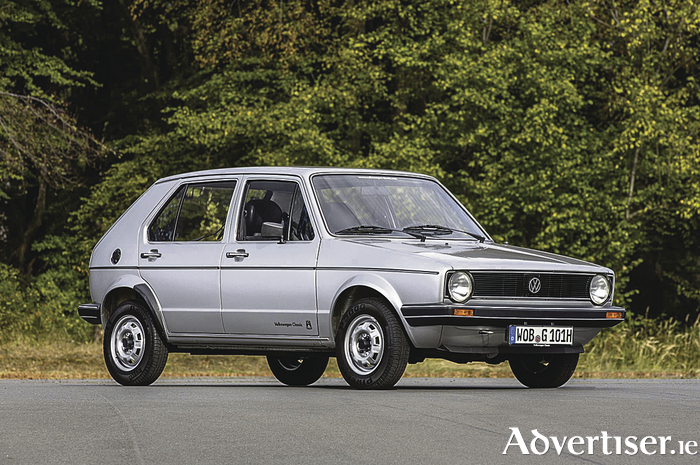 It was also the year Volkswagen presented its first Golf. It will be the update of a style-icon, and head of design at Volkswagen Klaus Bischoff says there are only a few cars in the world other than the Golf which have so consistently continued to develop their design from generation to generation. The first generation was an instant success; the successor to the Beetle achieved sales of 6.99 million. Round became square – a paradigm shift. “The main design elements of the Golf Mk1 were the side profile with its upright, solid C-pillar; the distinctive wheel arches; and the horizontal front with the slim grille and downwardly protruding head-lights – present to this very day in every Golf,” Bischoff says. These are stylistic features of the most successful compact car design in the world.